A Jordanian Ministry of Education supervisor participates in a workshop the American Language Center in Amman. 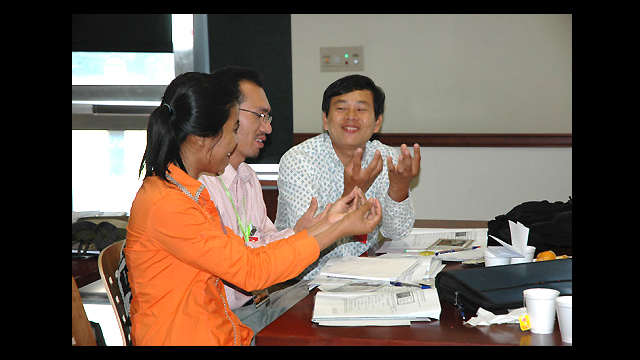 Secondary school teachers in Korea during a group work exercise facilitated by an English Language Specialist. 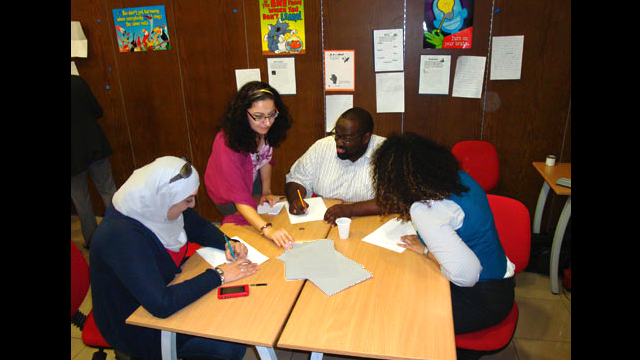 Teachers in Jordan collaborate during an English language workshop. 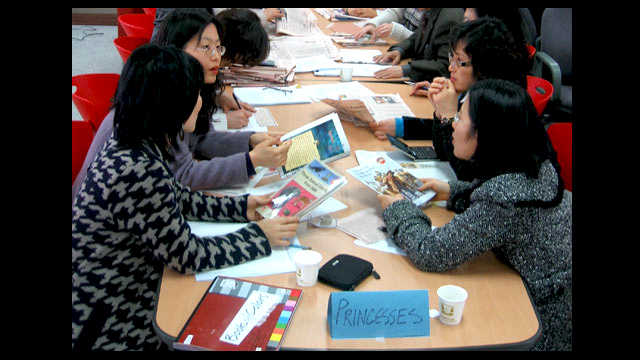 Secondary school teachers interact during an English Language Teaching workshop in Korea. A Libyan teacher participates in a workshop facilitated by an English Language Specialist. 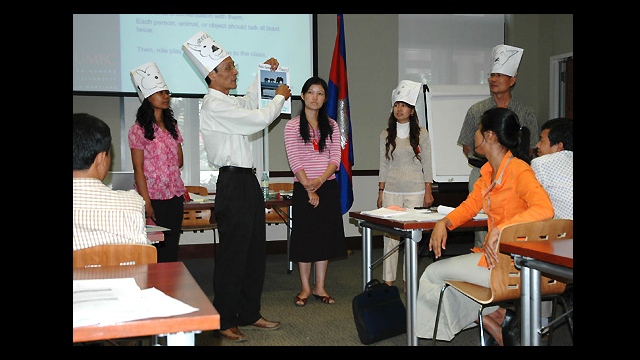 Participants in a two-day “Teaching English to Young Learners” workshop given by English Language Specialists at the U.S. Embassy in Phnom Penh, Cambodia. Syrian teachers work together on a project during a teacher training workshop. 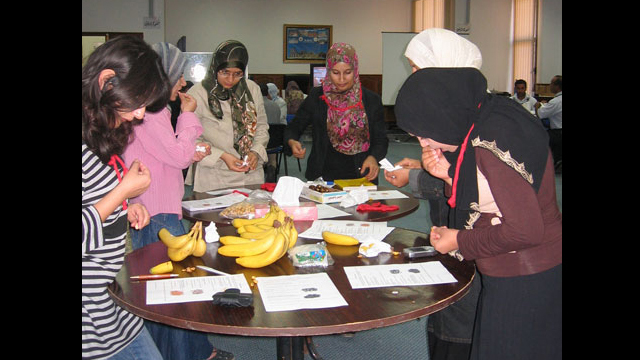 Educators learn about teaching techniques that employ real-life (“realia”) materials in a workshop facilitated by an English Language Specialist in Libya. Photos feature English Language Specialist Program participants in the classroom. The EL Specialist program recruits U.S. academics and professionals in the field of Teaching English to Speakers of Other Languages (TESOL) to conduct programs overseas ranging from two weeks to five months.